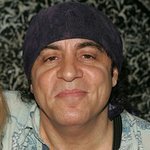 In an effort to show appreciation for school teachers and promote the integration of music into classroom studies, Steven Van Zandt (of Little Steven and The Disciples and Bruce Springsteen and E Street Band) is hosting free workshops and concerts for school teachers across Europe on behalf of The Rock and Roll Forever Foundation’s TeachRock Project. The program provides professional development workshops where teachers are trained to integrate music into a variety of classroom studies including math, science, reading and history. The Teacher Appreciation Tour experience includes a one-hour workshop in the concert venue, an hour of networking which includes food, and a two-hour live concert by Little Steven and The Disciples of Soul. Van Zandt, who is known for his phenomenal talents as a musician, producer, writer and actor on the hit TV show “The Sopranos” and “Lilyhammer,” began his educational focus about 10 years ago. 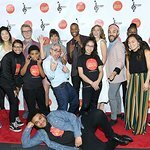 “Research shows that students who receive music instruction do better in math and science and students who like at least one class or teacher are less likely to drop out… Music has proven to be the most consistent and dependable common ground between teachers and students,” said Van Zandt. The Foundation’s staff of educators and ethnomusicologists have created more than 100 lesson plans that can be included in social studies and language arts curricula as single plans or can be taught as unit plans. “Our professional development workshops, like our curriculum itself, is free. It is our way of showing our gratitude to teachers,” said Van Zandt. The Teacher Appreciation Tour experience includes a one-hour workshop in the concert venue; an hour of networking which includes food, and a two-hour live concert by Little Steven and The Disciples of Soul.